As I left the school yard last week, a couple of girls from my youngest son’s class bowled up to me and broke into dance. They were showing off my son’s ‘signature move’. A ‘signature move’ at age seven? Good grief, what’s ahead when he’s a teenager?! 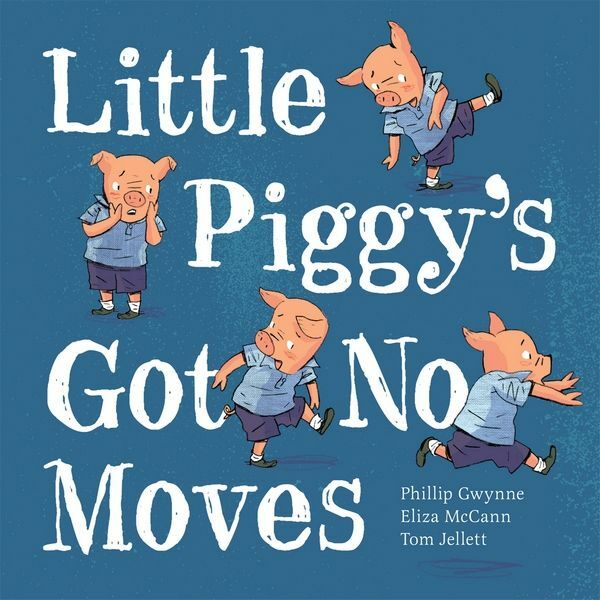 ‘Signature moves’ are the subject of Phillip Gwynne and Eliza McCann’s latest book, Little Piggy’s Got No Moves. Little Piggy is lead to believe he just can’t dance. He wishes he was nutbushing with Squirrel and doing the slide with Seal but he simply doesn’t believe he can. But then one day Little Piggy’s tail begins to twitch… and twirl… and suddenly Little Piggy finds himself moving across the floor! Look out! Is Little Piggy the next Travolta?! The story’s clear message about believing in yourself is delivered in a fun way that is sure to have kids jumping up and dancing however the charm of all the fabulous animal moves would be lost were it not for Tom Jellett’s brilliant, fluid illustrations. 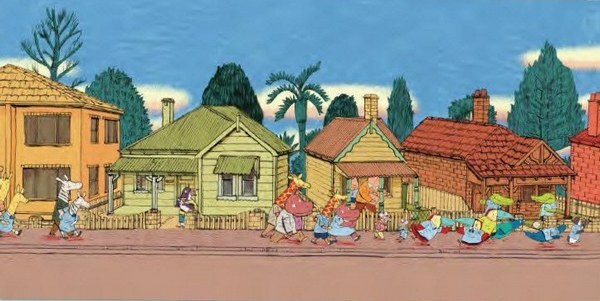 It’s not easy to convey movement in a drawing but Jellett does it perfectly with sensational double-page streetscapes crammed with animals showing off their moves. Find Little Piggy’s Got No Moves at all good book stores and online at Fishpond.